One of the most fun parts about being an independent theater blogger is getting to see theater by many different companies in many different venues. I've seen work by over 60 local theater companies (click here for the full list), but there are still some that I've never seen. Last weekend I saw one of these theater companies I'd never seen before (although it was founded 15 years ago) in a location I'd never been to. 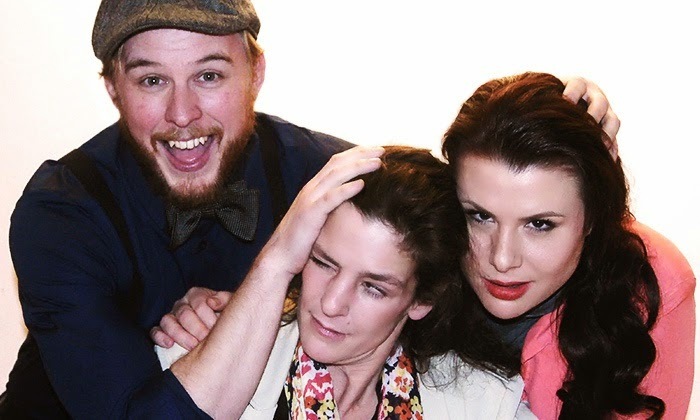 Candid Theater Company's new play Dogwood, written and directed by Founders Seraphina Nova and Justin M. Kirkeberg, respectively, is a dysfunctional family drama, complete with secrets, illness, affairs, arguments, dark humor, and love. The Dogwoods are a family living in suburban Milwaukee. Dad is retired and spends most of the day in a fog watching his "programs," while Mom flutters around pretending everything is OK. Daughter Evelyn lives just down the street and has put her own life on hold to take care of her parents (or is she using them as an excuse not to live a fuller life?). Rachel and Nathaniel have moved away, and their trips home are becoming fewer and farther between. They all congregate at the family home for Dad's favorite holiday, Independence Day. Rachel brings her assistant instead of her husband, and Nat arrives without his much talked about but never seen fiance. Secrets come out and old grievances come back around as this not-so-happy family finds themselves under the same roof again. After the holiday is over, not much has changed, except perhaps a better awareness of the situation. The cast does a fine job with the material and feels like a comfortable family. Angela Walberg is painfully sympathetic as the responsible daughter Evelyn, and along with James Napoleon Stone and Katherin Preble form a believable sibling trio. As the parents, David Roberts and Meri Golden are excellent, David poignantly playing the extremes of a dead-eyed stare and an anger and frustration at the situation he finds himself in, and Meri is all motherly love and concern hiding a deeper pain. And kudos to the talented Michael Terrell Brown who just joined the cast a few days before opening and seems like he's been with the group all along. This play does not have a happy ending, as there is an impression that things will only get worse, especially for Evelyn as she's left to care for her parents after her siblings leave. In the end I wasn't quite sure what I was supposed to take away from the play, other than frustration that this poor girl is destined to live a lonely life caring for her aging parents while her siblings enjoy their independent lives hundreds of miles away. The new-to-me venue is The People's Center Theater. It's a nice intimate space on the third floor of the People's Center Health Services' Cedar Riverside Clinic. The set looks like a typical lived-in Midwestern home, with blankets on the couch and tchotchkes on the shelf. At one point during a heated scene the table broke, and the cast dealt with it so well I thought it was part of the script. 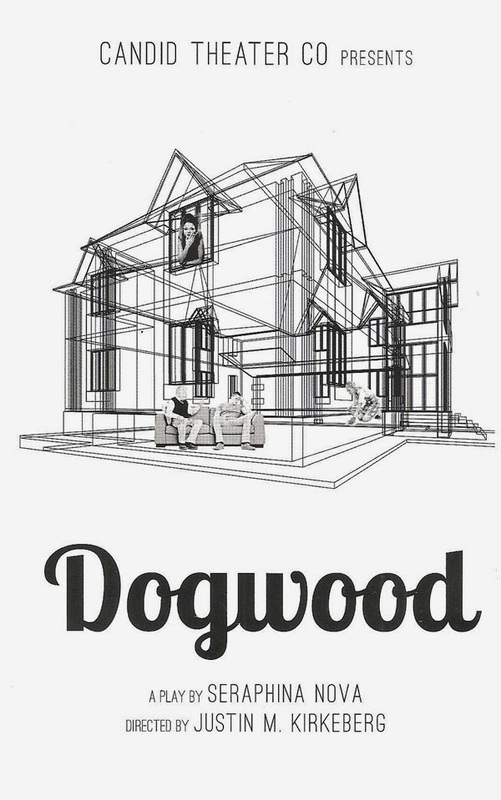 Dogwood is a compelling and entertaining dark family drama. If, like me, you're unfamiliar with Candid Theater, check it out to take a chance on something new (discount tickets available on Goldstar). I enjoyed it as much as August: Osage County when I saw it on Broadway. That's saying something.